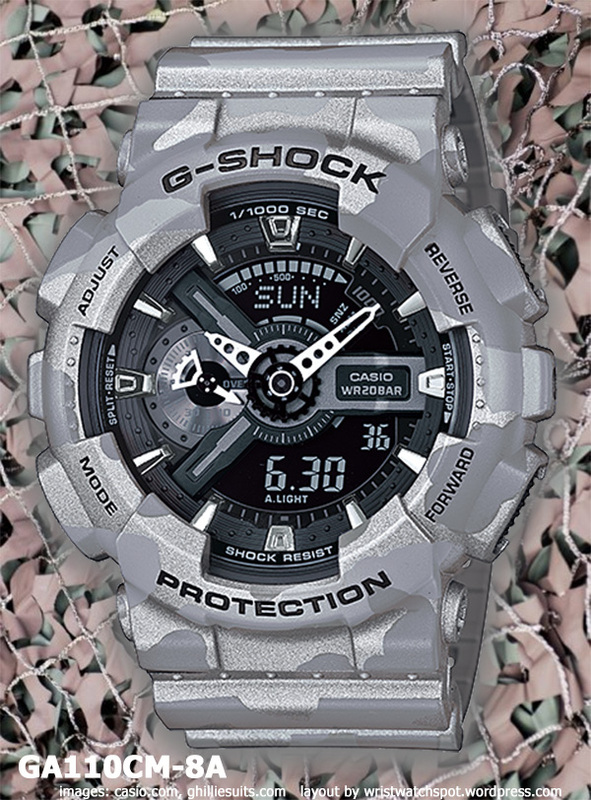 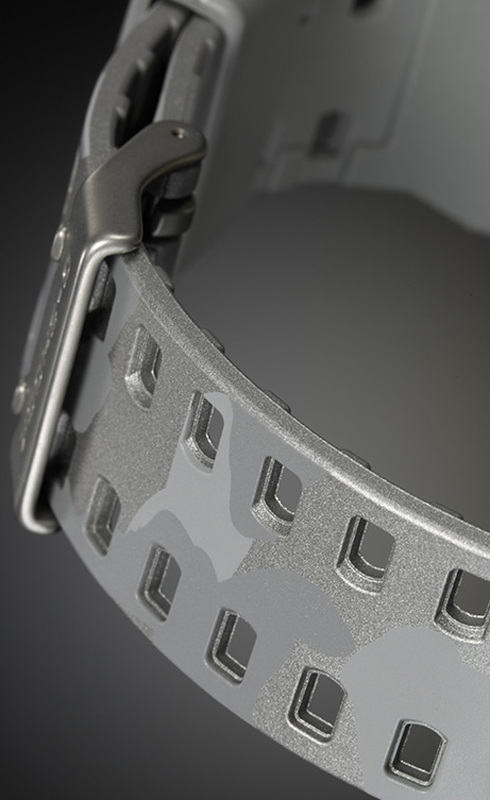 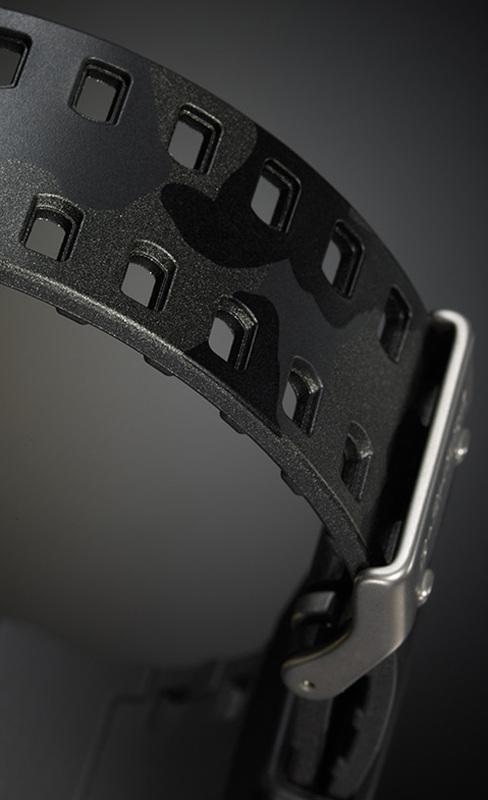 The distinctive design of the GA110 model is a long-running winner. 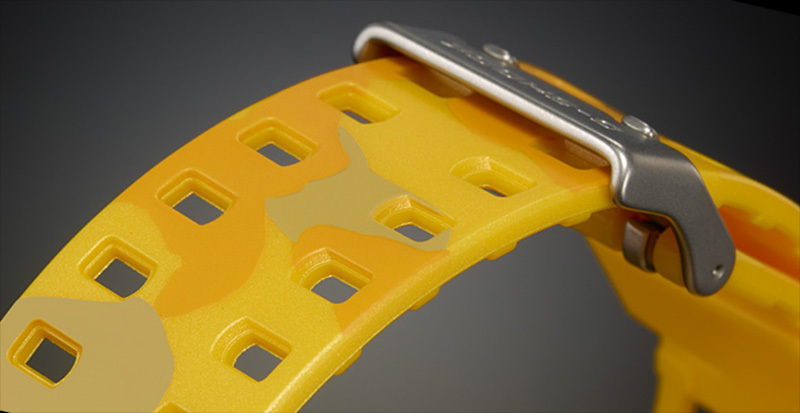 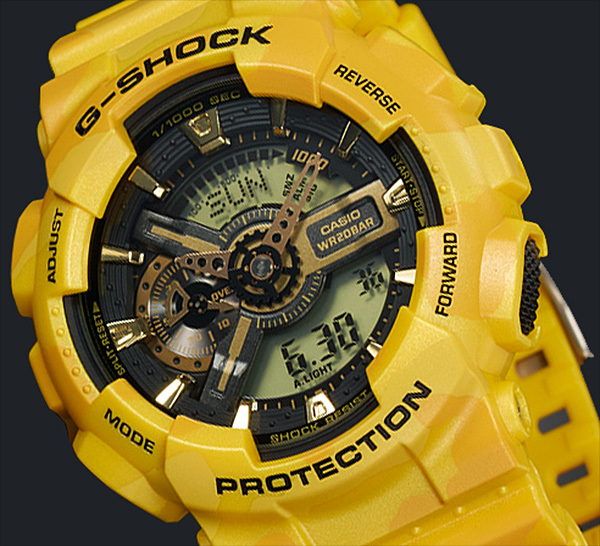 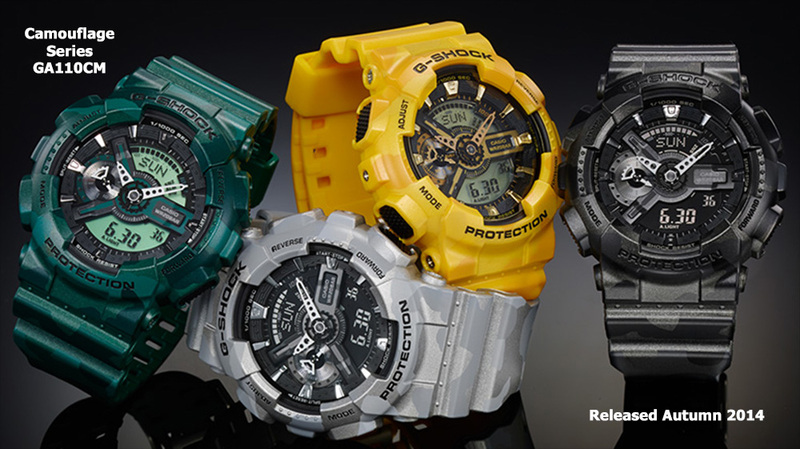 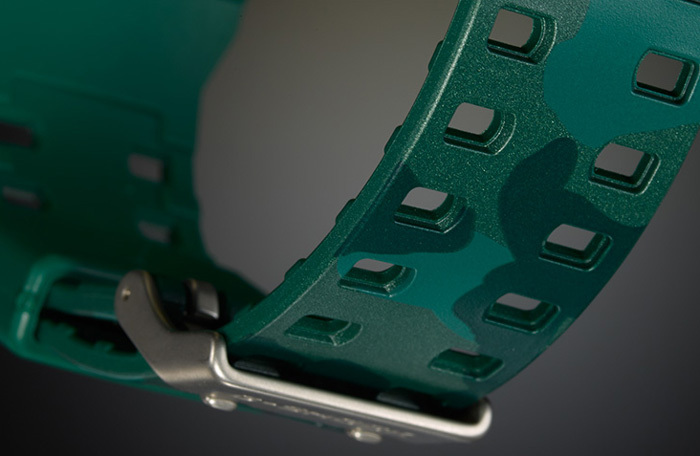 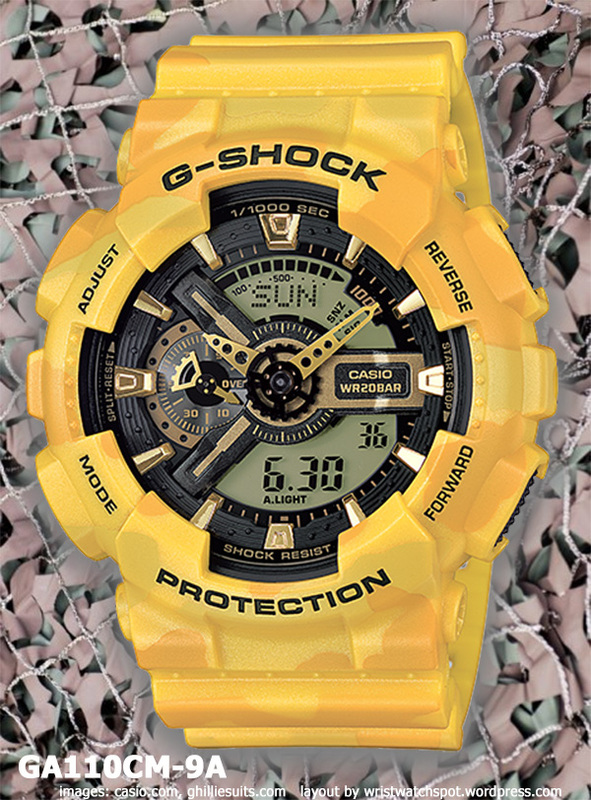 It spins off abundant new colorways with extraordinary frequency while voracious G-Shock buyers keep scooping them up in all their glorious variety. 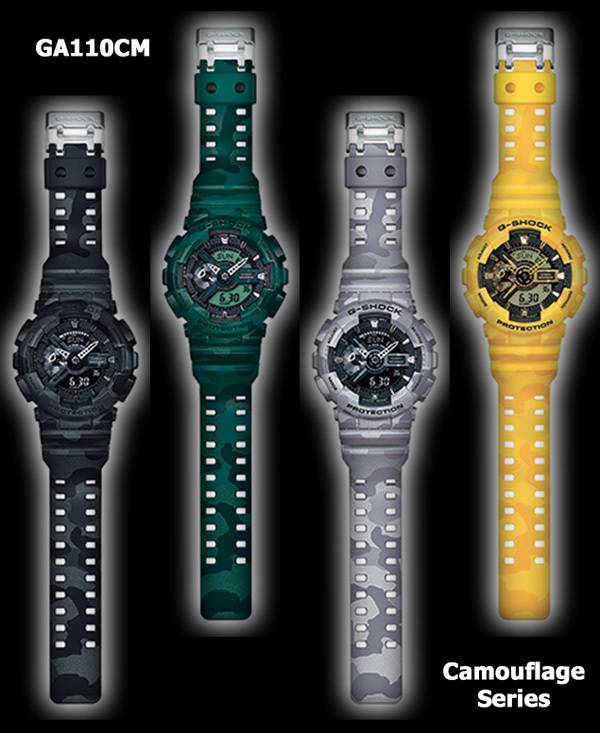 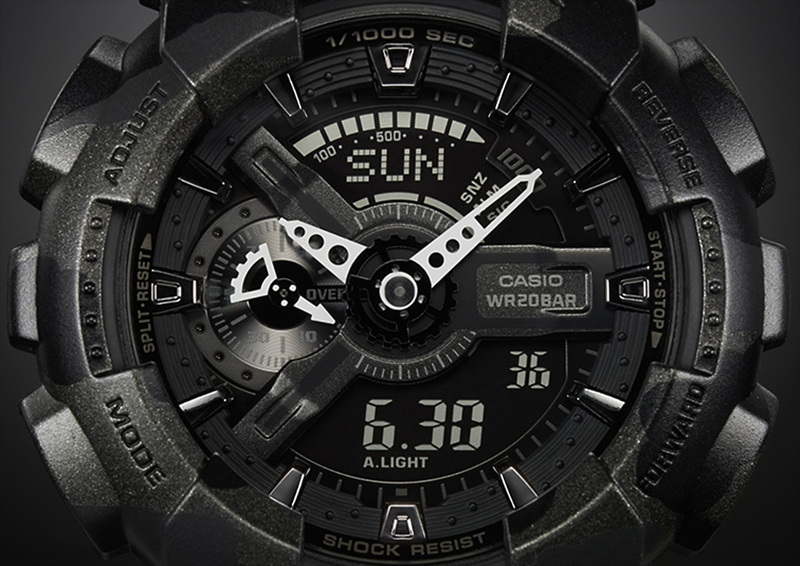 When new fashion trends have appeared, Casio has applied them to this watch’s various colorway releases. 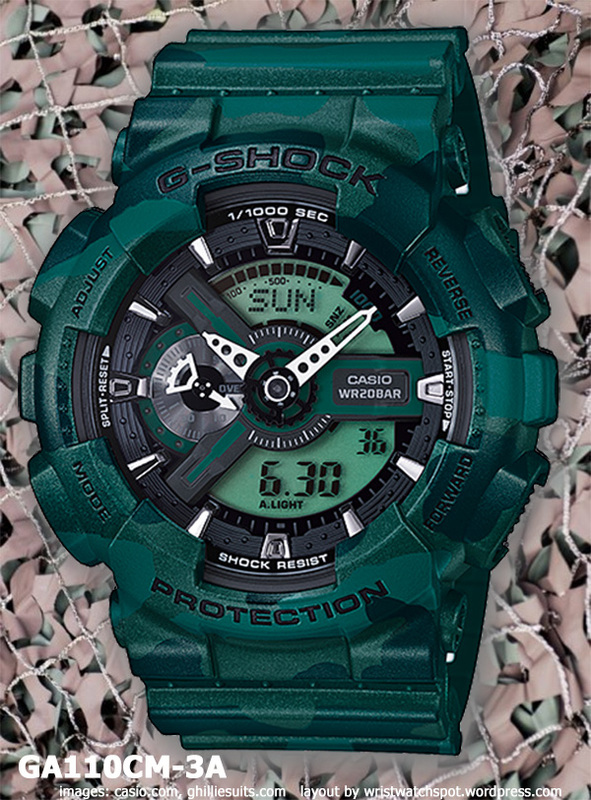 Camo patterns seem to never go out of style (now more than ever. 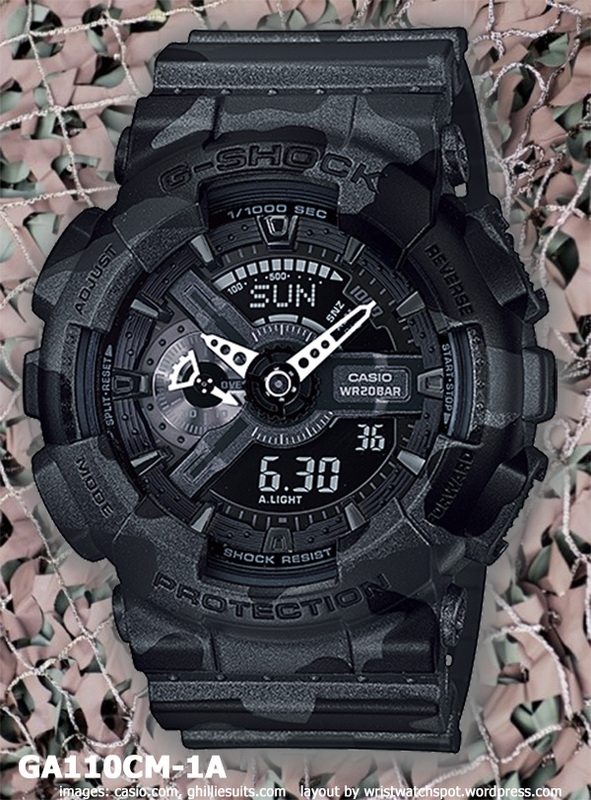 with Duck Dynasty stoking the fire), so it is no surprise that once again, Casio is rolling out another four iterations of it for us to consume.